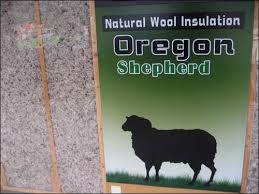 Oregon Shepherd’s made-in-the-USA 40-pound loose sheep wool insulation blow box may be blown in, or placed by hand. 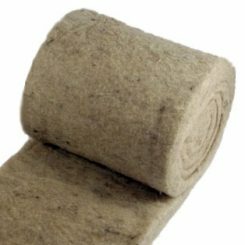 Loose Sheep Wool insulation allows you to fully fill an enclosed cavity, so you will generally achieve a slightly higher R-value, for example, R-21.9 for a 5.5″ deep wall cavity as opposed to R19 for batt or roll insulation. Netting may be included at a nominal cost to hold wool in place. The intended installation density is about one pound per cubic foot for attics/ceilings/floors (horizontal cavities) and up to 1.2 lbs. 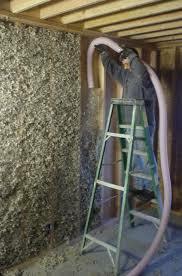 per cubic foot for walls (vertical cavities). 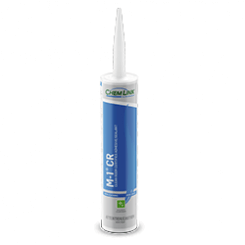 This product comes compacted at about a 6-to-1 ratio, so you will need to fluff it. 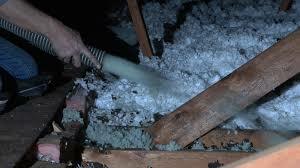 A standard insulation blower will do this for you. 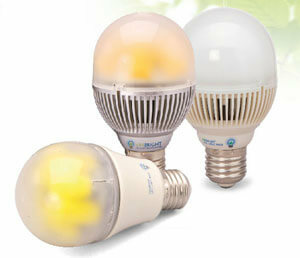 Otherwise it can be tricky to get the advertised coverage when fluffing manually. Sorry about the shipping cost! It is a big heavy 45 pound box! 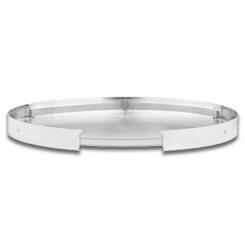 Please contact us for a shipping quote as cost will vary depending upon your location and your quantity! 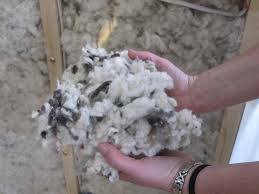 Loose sheep wool insulation may be placed by hand, or it may be blown in much the same way as is done for loose fiberglass (don’t do it!) or cellulose (okay as long as it doesn’t get wet). 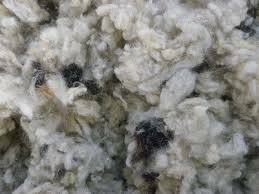 Your wool arrives in a box packed to about 6 times the installation density, so each cubic foot of packed wool will need to be ‘fluffed’ to about six cubic feet. 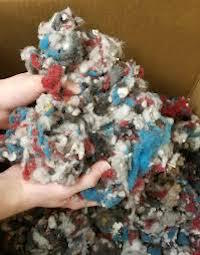 One trick is to put portions of the wool in a large plastic bag and using a shop-vac on reverse, insert the nozzle into the bag and fluff the wool. 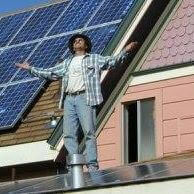 You can expect a 10 foot projection of the material from the end of the hose. 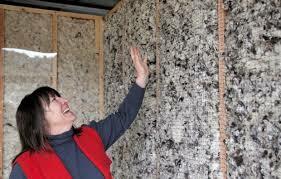 Sheep Wool is more dense than fiberglass and cellulose. Don’t run your airlock wide-open. Keep it about 2/3rds open. Run your air wide open. Don’t attempt to dense pack with any hose diameter smaller than 2″. 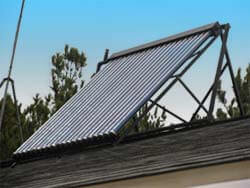 The folks at InsulationMachines.net recommend the CM2400 for sheep wool. 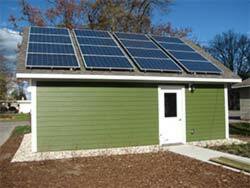 However, John mentioned that they prefer the FibreForce blower by Intec for the best application. 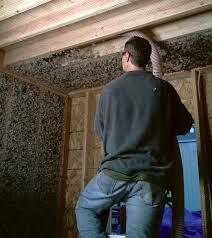 Wall, ceiling, and floor insulation is often used as a component of soundproofing. 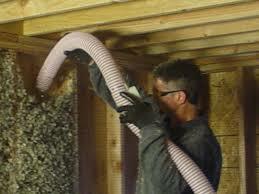 Any insulation product will improve your soundproofing compared to a hollow cavity. However, if you are attempting to address a serious sound control problem that is impacting health or relationships with family or neighbors, you will want to educate yourself on the intricacies of sound control problems and the corresponding solutions. 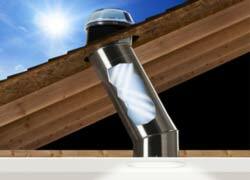 We recommend you start by visiting our friends at the Soundproofing Company as they are the industry experts.